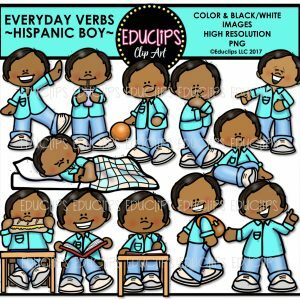 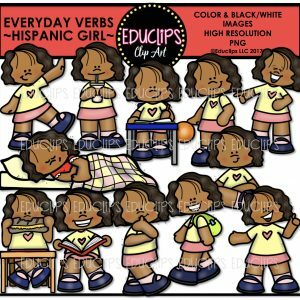 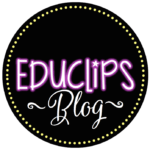 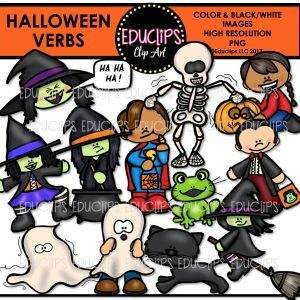 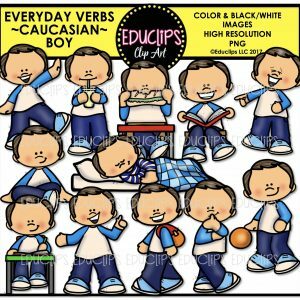 Purchase this product now and earn 37 EDUCLIPS Points! 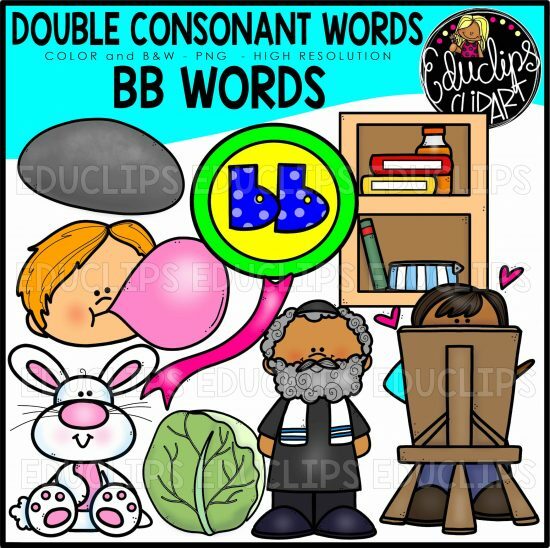 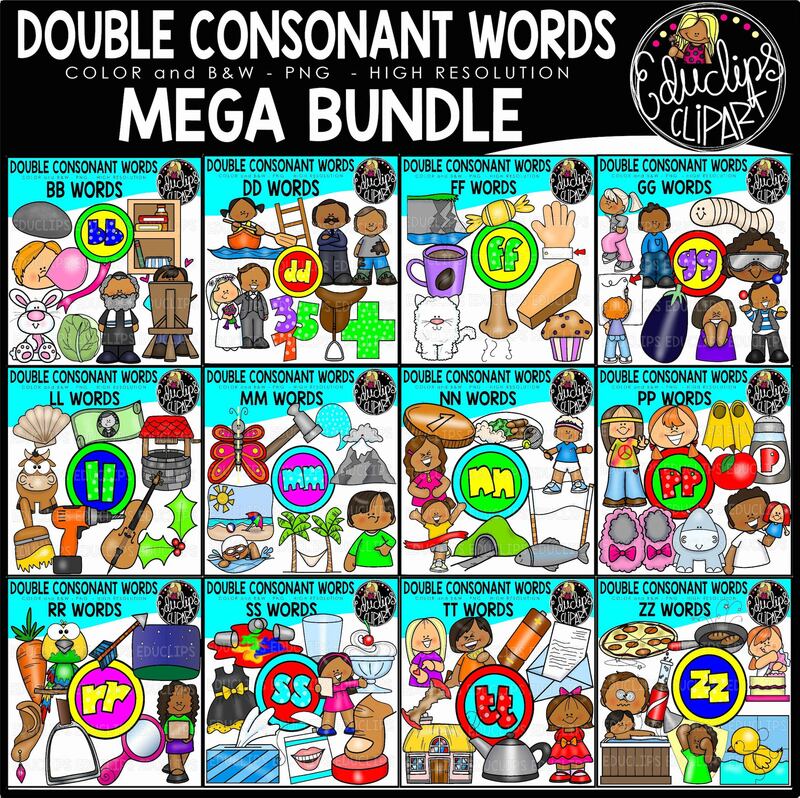 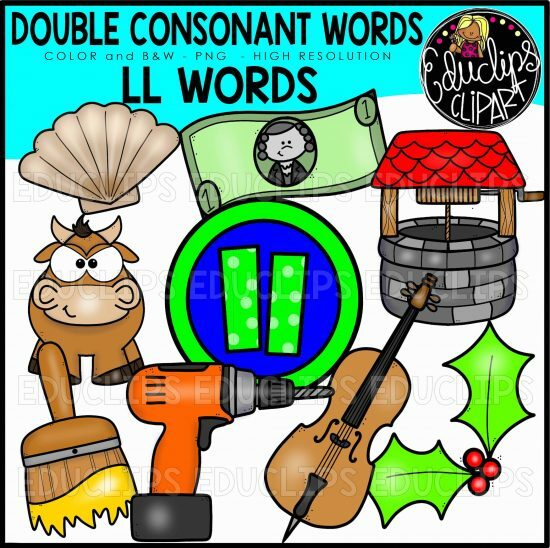 This is a collection of 12 sets of double consonant letter words. pebble, cubby, bubble, rabbi, rabbit, hobby, ribbon, cabbage & word art BB button. 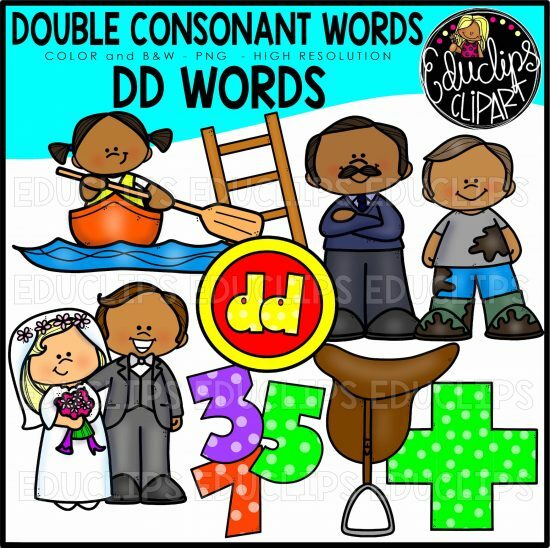 Paddle, ladder, daddy, muddy, wedding, saddle, addition/add, odd & word art DD button. 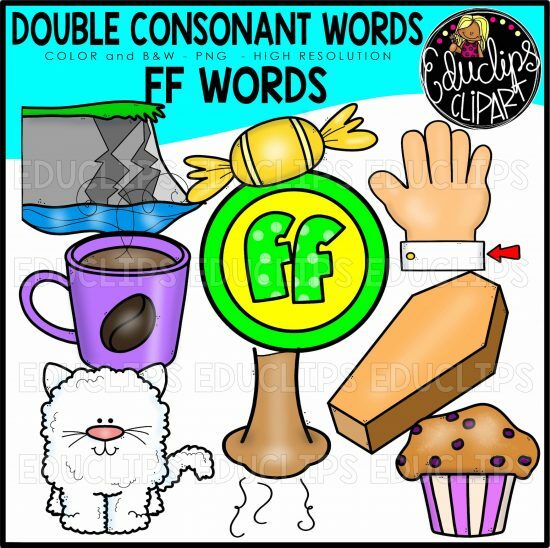 cliff, toffee, cuff, coffee, fluffy, sniff, coffin, muffin & word art FF button. 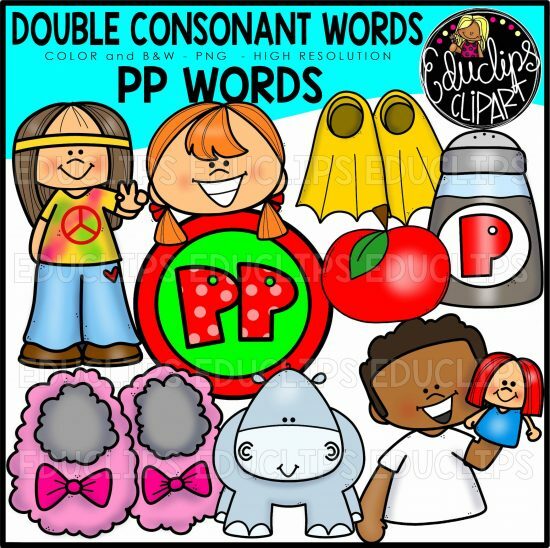 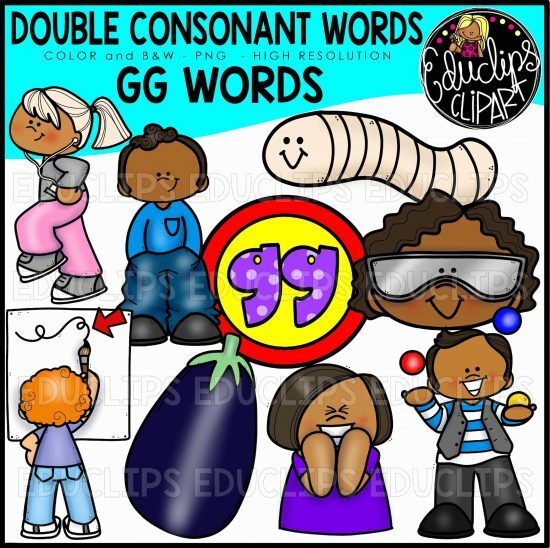 jogging, baggy, maggot, eggplant, squiggle, goggles, giggle, juggle & word art GG button. shell, dollar, well, yellow, drill, cello, holly, bull & word art LL button. 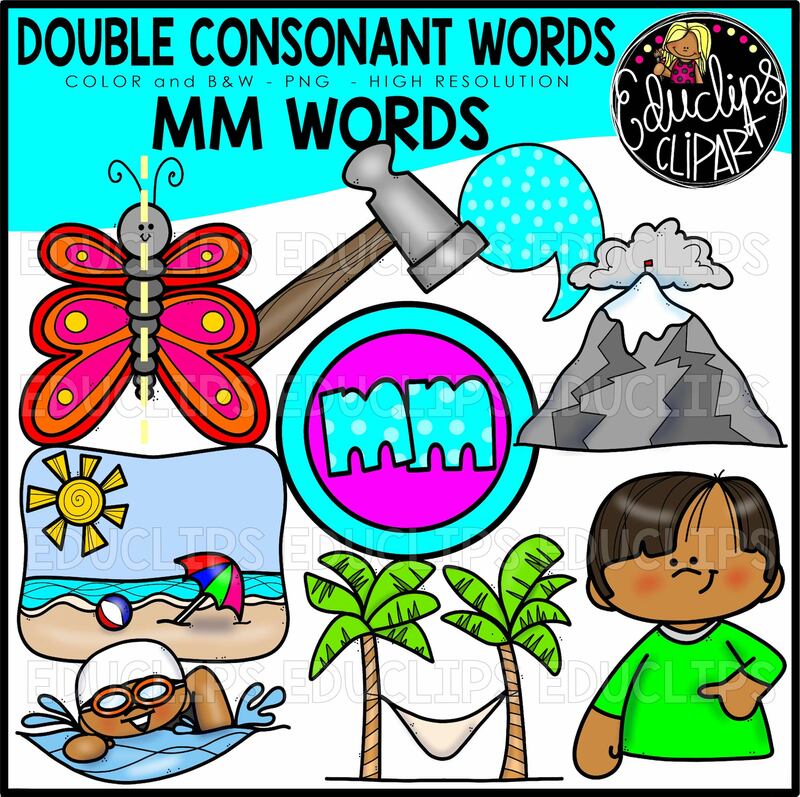 symmetry, hammer, comma, summit, summer, hammock, swimmer, tummy & word art MM button. 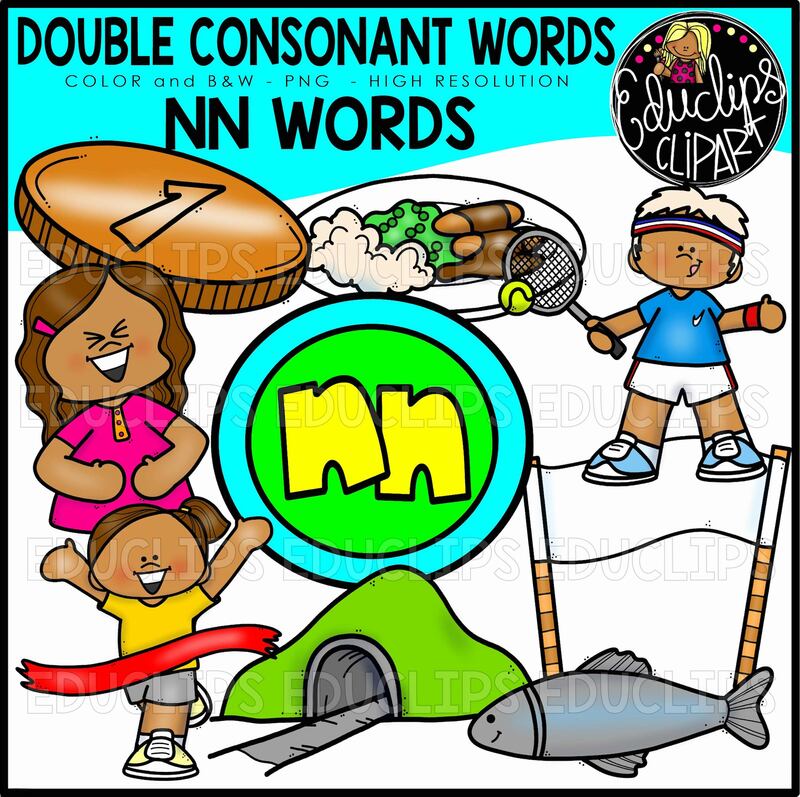 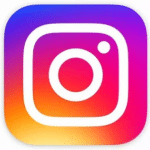 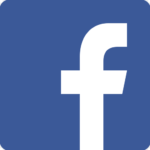 penny, dinner, tennis, funny, winner, tunnel, minnow, banner & word art NN button. hippie, flippers, happy, apple, pepper, slippers, hippo, puppet & word art PP button. 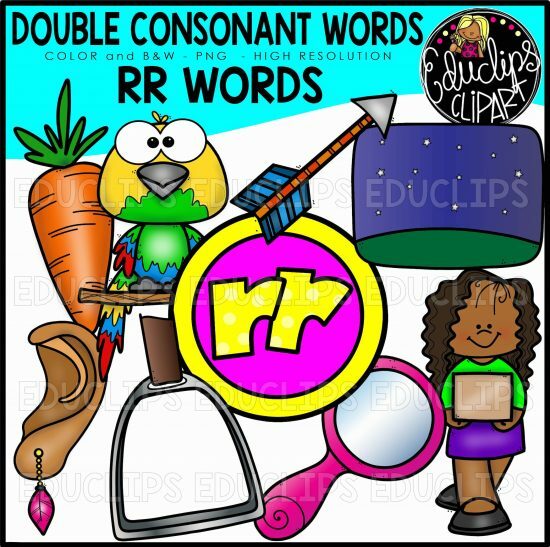 carrot, parrot, arrow, starry, earring, mirror, carry, stirrup & word art RR button. 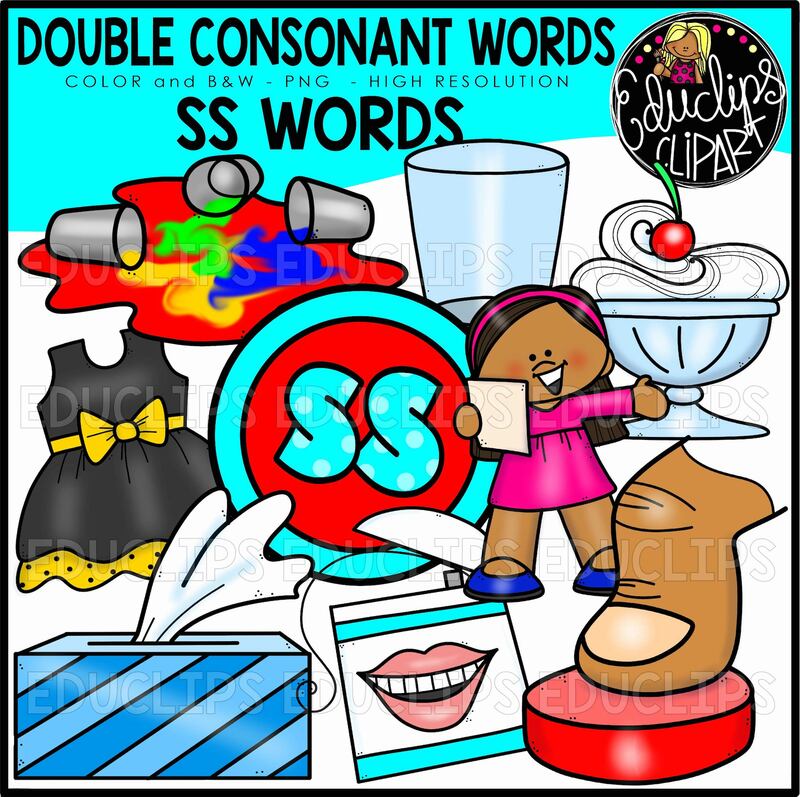 messy, glass, dessert, dress, actress, press, tissues, floss & word art SS button. 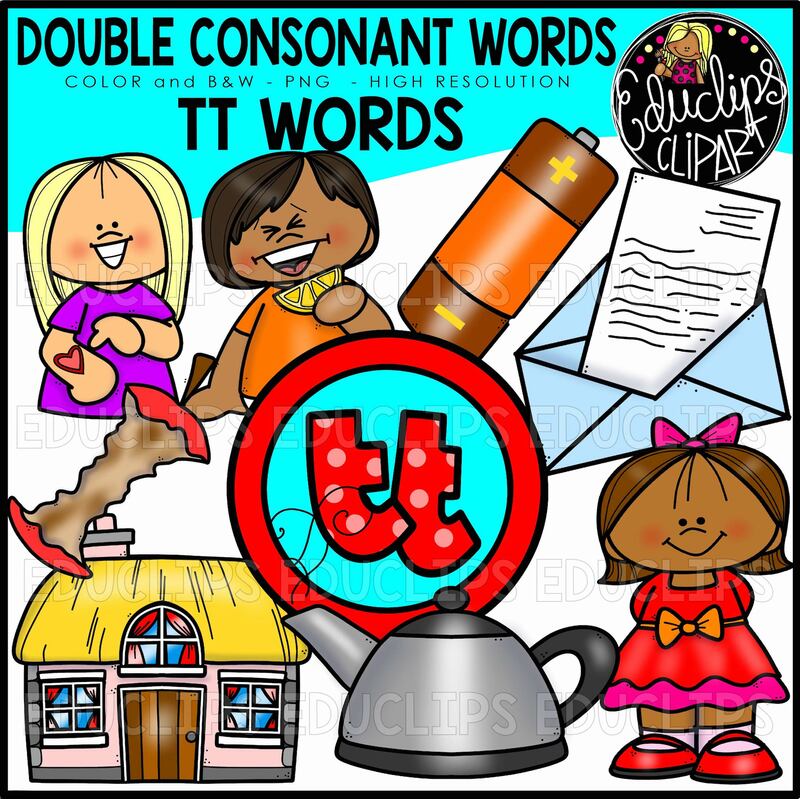 tattoo, bitter, battery, letter, rotten, cottage, kettle, pretty & word art TT button. 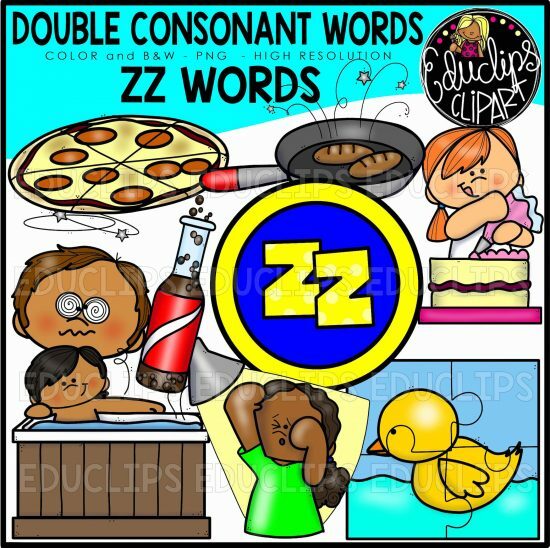 pizza, sizzle, nozzle, dizzy, fizzy, jacuzzi, dazzle, puzzle & word art ZZ button.